Catherine’s extensive experience as a script consultant and dramaturge, film funding executive, film and broadcasting policy consultant, documentary producer/director, educational technologist, academic and Film Festival manager led her to establish Blueskin Films Ltd in mid 2002. Written and directed by Jeff and Phill Simmonds and produced by The Simmonds Brothers Ltd. Written and directed by Quentin Parr and produced by Simon Ranginui of Revolution Productions Ltd.
BLUESKIN FILMS also offers development and production services to other companies. She is consultant development executive: projects include Patricia Grace’s Cousins, and Simone Horrock’s After the Waterfall (aka Paraffin Child). She works regularly as a dramaturge (writers include Hone Kouka, Briar Grace Smith, Matt Saville, Whiti Hereaka, Vicki-Anne Heikell, Leilani Unasa, Georgina Titheridge, Kate Morris) with Playmarket, the pre-eminent agency and script advisory service for New Zealand playwrights, as well as production companies such as Taki Rua and Massive, and offers industry assessment and mentoring to degree and post graduate writing students at variously Victoria University of Wellington, Waikato and Otago Universities, Whitireia and other Polytechnics. Catherine Fitzgerald has a career long relationship with the NZ Film Festivals and NZ Federation of Film Societies as a national President and Executive member and has served, since 2001, as the Executive Chair of the NZ Film Festival Trust, which stages the Wellington, Auckland and 13 associated NZ regional festivals alongside the World Cinema Showcase in the main NZ centre and other cinema events. 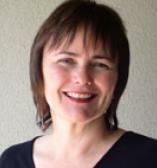 Her other current contributions to the film industry include serving as a Board member of Playmarket, and a member of the WIFT Wellington Executive Committee She has also served as consultant to the NZ Film Commission, te Māngai Pāho, the Ministry for Culture and Heritage, SPADA, NZ Qualifications Authority and ITP Quality, the Screen Council and a guest lecturer at a number of script writing and production oriented training programmes. She served as a Jury Member Berlinale 2006 – (Kinderfest) in February 2006 in Berlin and was invited to represent NZ at the Golden Horse Film Festival’s New Zealand Talent Showcase in Taiwan in November 2005. She has previously served as a Government appointed Member of the NZ Film Commission (1990-1994) and as Chair of the NZFC Short Film Fund Committee (1991-1995). Her positions of NZ Film Commission Director of Creative and Industry Development and subsequently Policy and Planning (1995-2000), included directly overseeing the production of well over 60 short films and three micro budget feature films, and the development of NZFC funded feature films, alongside strategic planning, policy, and government compliance responsibilities.